Almost 3,000 children in Hartlepool will need help to prevent them going hungry over the summer school holidays, council bosses have said. The authority has set aside more than £70,000 for a scheme to provide food for families in one of the most deprived areas of England. The six-week "Filling the Holiday Gap" project is now in its third year. Last year it helped about 900 youngsters, but the council said this year it expects that number to triple. 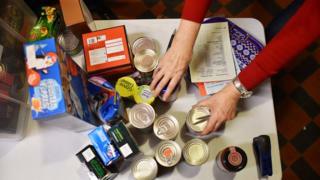 Hartlepool Borough Council blamed high levels of deprivation for a "continuing rise" in demand for free meals services and foodbanks. Steven Carter, a health improvement practitioner with the authority, said: "We have seen increasing demand year on year since we started running the scheme in 2016. "We recognise and appreciate that there are a families that worry about the school holidays when free school meals are not available. "It's sad that families panic at this time of year, when they should be having a worthwhile and enjoyable summer and school holiday." The council is co-ordinating the scheme with Hartlepool Food Network, which works with local shops and stores to make use of food which would otherwise be thrown out. A council spokesman added: "Families normally entitled to free school meals can well become malnourished over the school holiday period. "Children who are malnourished are clearly at a serious disadvantage when starting the challenges of the new school year in September." A similar scheme which operated over Christmas 2017 saw 3,070 meals and 467 food parcels supplied to vulnerable families in the town.